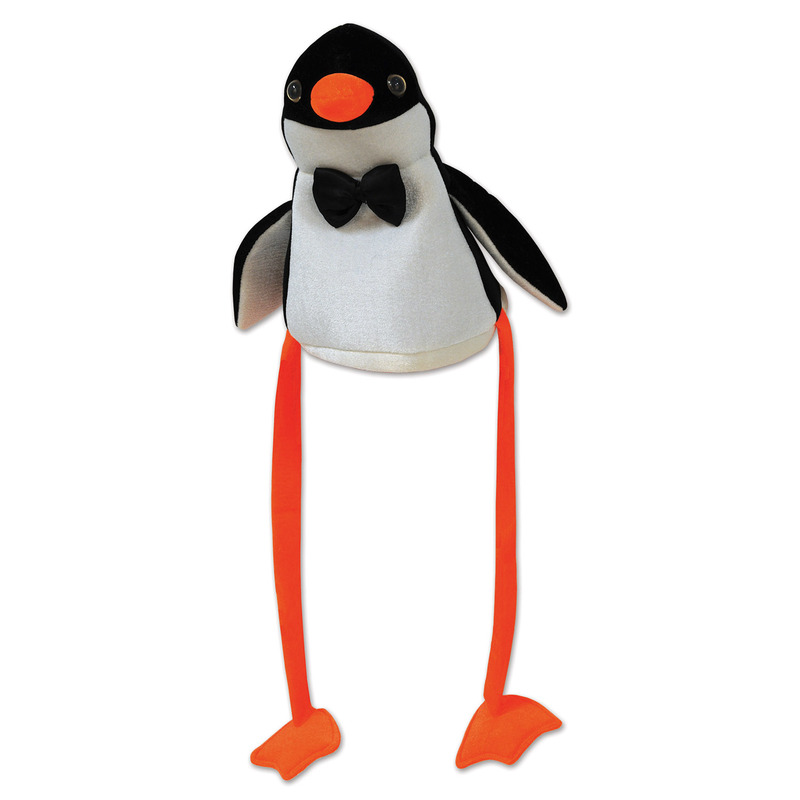 Now you can wear a penguin on your head with this Plush Penguin Hat. 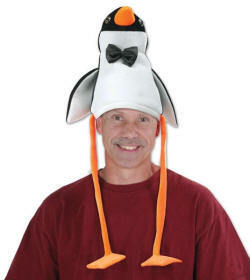 It is made of a soft plush material, so it won't hurt while you look adorable with a penguin on your head. The penguin is dressed to impress by wearing a black bow tie. He has extra long dangling orange legs which will sure to catch the attention of others. Wear this Plush Penguin Hat for a winter festival or for the Christmas holiday party. It measures about 10" inches tall (not including the legs) and about 21" inches in circumference around the inside base (the part that fits your head).